Chicken nuggets are a go-to meal for busy parents, a food item that most kids love. Unfortunately, fast food chicken nuggets and even the frozen kind you buy at the grocery store are often laden with questionable ingredients. Lucky for you, making homemade (healthier) chicken nuggets at home isn’t difficult at all. These chicken nuggets are baked, not fried. And they still turn out crispy on the outside and moist on the inside. They are well seasoned. They’re also a breeze to make once you know the technique. You may never go back to fast food or frozen chicken nuggets again! To ensure that the chicken stays moist, soak it in buttermilk for at least an hour – but preferably for several hours or overnight. This is also your first chance to season the chicken. The base of the coating is breadcrumbs and Parmesan cheese. I made my own breadcrumbs by baking a few slices of bread long enough to dry them out, but you can use ready-made breadcrumbs. Add plenty of spices and seasonings to the coating (see recipe below). First, take the chicken pieces out of the buttermilk mixture (left), dip them in egg mixture (center), and finally dip them in the breading (right). Each of the three steps/bowls below are seasoned, so the end result is very flavorful. Once coated, the chicken nuggets are ready to bake. The nuggets bake for about 15 minutes, until the internal temperature reaches 165F. Add a scant teaspoon of seasoning to the buttermilk mixture, the egg mixture, and the breadcrumb mixture. Use a mix of what I have listed below (using salt sparingly), or use your own spice blend. Cut chicken breasts in half the long way. Cut each half into three strips and cut each strip into thirds. For each chicken breast, you should get approximately 18 individual, chicken nugget-sized pieces. Place chicken pieces in a mixing bowl and add buttermilk. Add seasonings, mix well, and allow to soak for an hour or longer in the refrigerator - or overnight. Preheat oven to 350F. Prepare breadcrumb coating. Place toasted bread, Parmesan cheese, and seasonings in a food processor. Pulse until you have small crumbs (see photo above). Prepare the assembly line. Remove soaked chicken from the fridge. Add seasonings to beaten eggs. Line up the breadcrumb coating. Take one piece of chicken and allow excess buttermilk to drip off. Dip each chicken piece in the egg mixture and then the breadcrumb mixture, ensuring that both sides are coated. Lay chicken pieces on a large baking sheet lined with parchment paper. Repeat until all the chicken has been coated. Bake chicken pieces for 15 minutes, or until internal temperature reaches 165F. Remove from oven and serve hot, with your choice of dipping sauce. We have a similar recipe (though, to be honest, yours has cheese…which means it must be better!). And wasabi mayo as a sauce is a genius idea! Oooh. 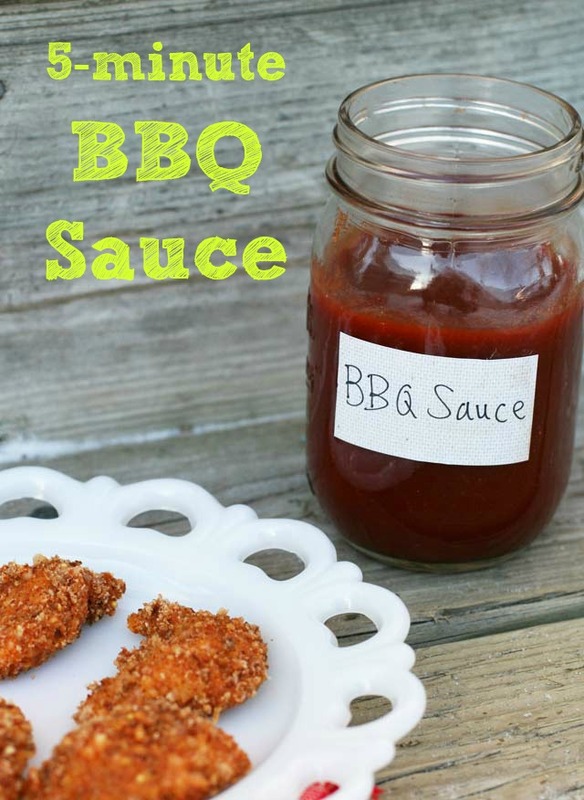 Can’t wait until we make these again, because now they’ll have better seasoning and a crazy good sauce to go with. Can’t beat that! I am making these chicken nuggets for supper tonight. Super easy to prepare. Can hardly wait until they are done. YUM!